The vacation home with its lush tropical garden is located in a quiet neighborhood and just minutes away from your next grocery market. This southern exposure pool and Jacuzzi home is just minutes away from the Rotary Park, Glover Bight trail and the Tarpon Point Marina. Enjoy the sun all day long with the southern exposure pool deck with the view of the Rose Garden lake. Enjoy the sun all day long with the large exposure pool deck. The BBQ whirlpool and the large outdoor area invites you to some relaxed evenings. 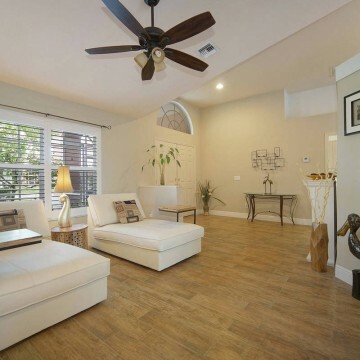 The house is located in a quiet neighborhood but just minutes away from restaurants, coffee shops and grocery stores. Quick Golf excess with this recently renovated and by a designer furnished saltwater dream home in the Rose Garden area. Enjoy the sunrise in the morning during breakfast on the patio, the pool with a large sun ledge and whirlpool, or sit on the boat dock. 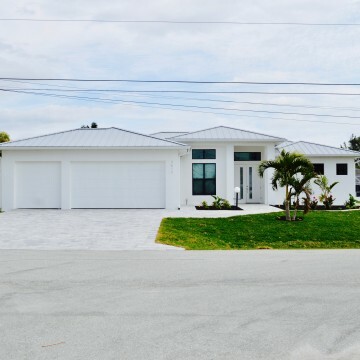 This modern Villa was just completed and modern furnished in February 2019. 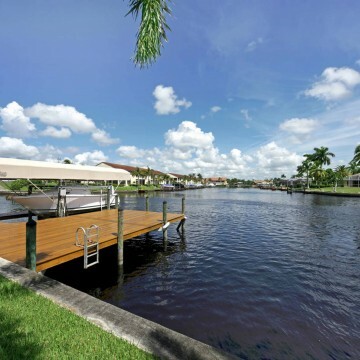 Enjoy the water view onto lake memory with your 38 foot pool and jacuzzi. 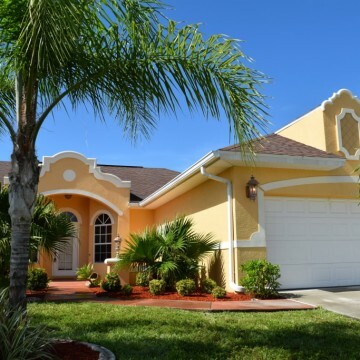 Do you have specific request for a vacation rental in Cape Coral?